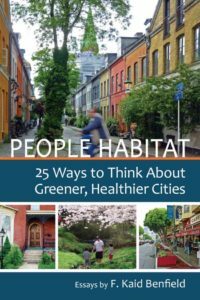 Kaid Benfield, American urbanist and consultant, author of People Habitat: 25 Ways to Think About Greener, Healthier Cities, talks about how to promote sustainability in urban areas. Here are the main ideas from 3 of the 25 essays published in his book. For Benfield, this book is a result of his impressions of cities before he got into urban studies. Starting from childhood stories, he also writes about how cities can satisfy the needs and desires of their populations in order to create an adequate habitat for them. There is no doubt that the responsibility falls on the citizens: we must figure out how to make our habitat function for us and for the health of the planet, urges Benfield. Having grown up a in small town, he noticed the advantages of it: short commutes, access to public transport, closeness to nature and an interest for conservation of residential areas. He is of the opinion that these advantages can be transferred to bigger cities. Kaid also talks about how some cities, through their public spaces, manage to convey a sense of geographic location, of belonging to a certain place. Having a distinct identity and character can be beneficial both for the neighborhoods and for the cities. Too often, public spaces end up being carbon copies of each other, with no regards to authenticity or local culture. 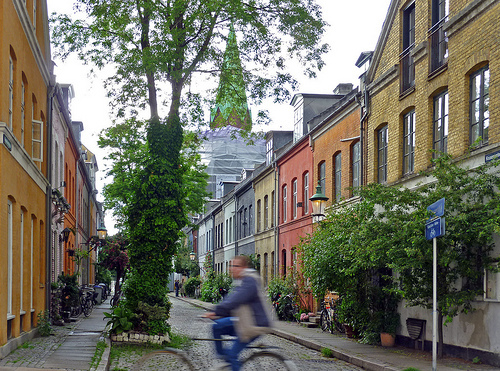 Why is it important to have healthier and greener cities? Benfield answers that by promoting this concept in city-planning, the negative impact on the environment is reduced. Benfield also proposes that in the debate about urban development there must be included the problem of quality of construction. Demographic shifts – population growth and populations growing old – pose the question of whether the buildings being built are appropriate. New constructions must be able to handle a higher density and more diverse population – click here to read our article about urban hyperdensity. What, then is intelligent growth? According to Kaid, in today’s world, intelligent growth must include green buildings and infrastructure, respect for historical buildings and local culture, protection of public health, equity and land administration.